Join us for a night of bingo, prizes, and fun all to support No Limits! Your $20 donation includes all rounds of bingo. Doors open at 5pm. To reserve your spot, please call 310.280.0878. 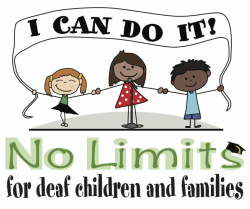 Join us for an inspiring evening to benefit the deaf children and families of No Limits. Take the field for deaf children and their families in this 7 innings slow pitch softball game! Sign up to play ball today! Join to win some incredible prizes and spread the mission of No Limits with your friends and family! Want to help sell the drawing tickets and make a difference? Click here and send us your information and we can send tickets to you via mail. Learn more about the Grand Prize Drawing here!